Update v.1.2 for the Denon DJ SC5000 and Engine Prime expands on database performance and features. In this article, we'll discuss the latest changes to the system, where to find the updates, and what you'll need to know before digging in. Do I need to update both the software and the firmware? Is my v1.2 database backward compatible with Engine Prime v1.0 software? What new features have been added to SC5000 with the v1.2 update? What new features have been added to Engine Prime with the v1.2 update? How big can I make my database now that there is no size limitation? 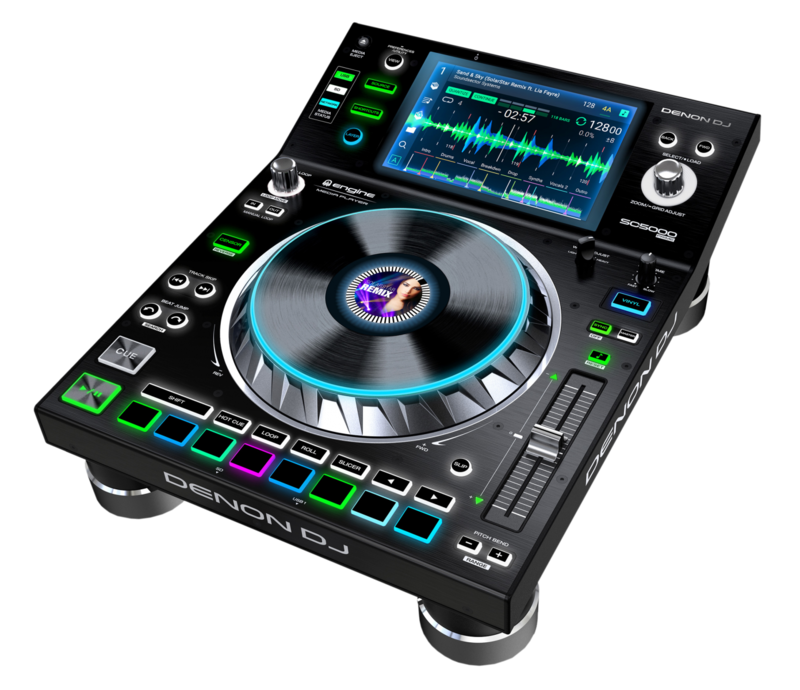 Any SC5000/Engine Prime user can find the firmware and software updates right on the respective product pages (under the Downloads section), as well as under their product registration in their Denon DJ account. To check the firmware on your X1800, simply power on the mixer and the firmware version will be displayed on the top screen during power up. Yes. The SC5000 and Engine Prime software will share features involving the database and file handling. Both the firmware and software will need to be updated to ensure that your data is properly handled by both. Engine Prime will need to update your database to be compatible with v1.2 on both hardware and software. Because this may take some time, we recommend updating the software to v1.2 first and performing this database update on your computer. Simply connect your drive to the computer and open Engine Prime v1.2 and the database will begin updating automatically. The SC5000 v1.2 is also capable of updating the database, but this may take longer and thus is not recommended. Engine Prime v1.2 is not backward compatible with Engine Prime 1.0. Switching back to or using a computer with Engine Prime v1.0 and a v1.2 database may cause undesired behavior and loss of collection integrity. We recommend making a backup copy of the Music/Engine Library folder as an extra safety precaution before upgrading. Ability to Instant double tracks between/within players added. Press and hold sync or double press the Browse knob when in player view to instant double. If a song is loaded on more than one deck, creating hot cues and saved loops will now appear on all other decks. Saved loops now trigger in beat when quantize is on. Pressing loop out when no loop in point is active will create a loop from the cue point. Turning Sync off doesn’t require holding Shift (Settable in User Preferences). Hot Cues outside of an active loop will now de-activate loop when triggered. “On Air Mode” can now be disabled in user preferences. FLAC and Ogg files now show album artwork. All tracks already in the collection must have album artwork added by selecting “Re-import track information” in Engine Prime. Search: Using spaces now allows to search text within multiple fields at once. Added playlist folder support, including playlist folders imported from Rekordbox. Removed the need to press a source for 2 seconds to eject it. Upgrading DB process is shown in source screen. Playlists tracks are now sortable. While the database will no longer be restricted by the SC5000, general limitations may still exist depending on your system. For example, a drive formatted to FAT32 will not be able to read a single file larger than 4Gb. If you are using a FAT32 file system on your USB drive, your database file will still be limited to 4Gb. This update includes a safety feature that will prevent the hardware/software from writing to the database file if it is close to 4Gb in order to prevent creating any problems with your database. While there is no set limit for the database, we still recommend keeping it optimized for performance and well maintained for the best results.